BARCELONA (JTA) — On the top floor of this city’s Jewish community center, a group whose ancestors were cut off from the Jewish people more than 500 years ago are receiving tips and training to become pro-Israel advocates in the 21st century. “We can use cyberspace to circumvent the traditional media,” Raanan Gissin, a former Israeli government spokesman, tells them. His voice rises with excitement as he outlines the potential for coordinated pro-Israel messaging through blogs and Web sites. Listening intently, scribbling notes and asking questions is a gathering of what might appear to be an unlikely band of foot soldiers for Israel advocacy: the descendants of Jews who converted in Spain and Portugal in the Middle Ages, during the Inquisition. 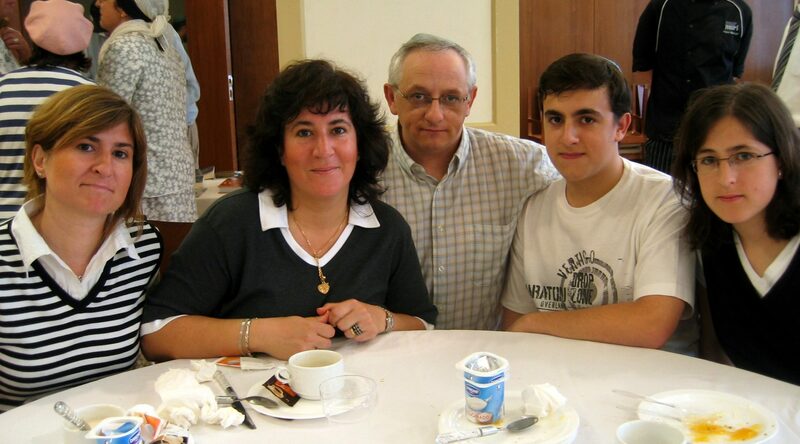 They have traveled from small towns and cities across the Iberian Peninsula to Barcelona for a three-day conference to learn more about their Jewish roots. Amid talks on Jewish history, theology and identity these people — known as Marranos or Anusim, Hebrew for “the forced” — also learned how they could be voices for Israel in their communities. Anti-Israel sentiment runs particularly high in Spain, where the mass media tend toward highly critical reporting of Israel and public opinion surveys suggest hostile attitudes toward Jews and Israel. Several top Israeli military commanders are being charged by Spain’s high court for possible war crimes for their authorization of the bombing of a Gaza apartment bloc in 2002 that killed a top Hamas commander and 14 civilians. “Spain is one of the most difficult countries in terms of Israel’s image, and the Anusim see and feel it on a daily basis,” said Michael Freund, chairman of Shavei Israel, which organized the seminar. Shavei Yisrael reaches out to so-called “lost Jews” around the world who seek to know more about their heritage. “Many of them have expressed a desire to do something about it, to speak out about it, to speak on Israel’s behalf,” Freund said. Several of the 60 people attending the conference already have become involved. Some recounted fear facing anti-Israeli sentiment in their hometowns. A middle-aged doctor from Barcelona who preferred not to have his name used said he was threatened by a local Muslim in response to articles he wrote under a pseudonym defending Israel. In recent years, Spain’s centuries-old anti-Semitism based on religious dogma has taken a new form in anti-Israeli sentiment, he said. Einat Kranz-Nieger, the deputy chief of mission at the Israeli Embassy in Madrid, outlined some of the major themes Israel is trying to transmit internationally: Its commitment to the Israeli-Palestinian peace effort, improving Palestinians’ security and standard of living, and the global and regional threat posed by Iran. In a tense moment in the discussion, several participants raised the potential risks they face in speaking out for Israel and asked whether Israel would assist them if needed. They did not receive a clear answer. Seminar organizers said their comments underscore the sensitivity of those seeking some sort of return to Judaism, whether through official conversion or a connection with local Jews. Estimates for the number of people with Jewish roots in this region vary. Many Spanish and Portuguese have family names that indicate a Jewish past. Some at the conference spoke of families observing unexplained traditions such as lighting candles followed by a grandmother’s mumbling of unintelligible incantations and the washing and salting of meat. According to a recent genetic study, about 20 percent of Portuguese and Spanish citizens have Jewish backgrounds. Rafael Peretz, 47, is from the town of Saragossa, about 150 miles west of Barcelona, where only three Jewish families live. He recently started a Web site about Anusim, Kolisraelorg.net, which features a section on Israeli advocacy. There are links to several Spanish-language pro-Israel bloggers, and Peretz sends messages on online social networking sites and posts videos on the video-sharing site YouTube to help get out what he calls more balanced information on Israel. “In Spain there is not much information about the reality of life in Israel,” said Peretz, who started investigating his Jewish roots several years ago. At the seminar, Gissin said that one must think creatively in order to advocate for Israel successfully. “You have to learn how to fight, how to speak: short sentences, use stories,” he said.